The cottage has been fully restored with modern conveniences, but still maintains its 19th century charm. Two new bathrooms have been added to rear of the house. The kitchen is fully furnished and ready to use, and the remainder of the house looks as it did originally. Includes living room with sofa bed, dining room, 2 bedrooms, 2 bathrooms, kitchen, and screened in porch. Furnished with WiFi and flat screen television/DVD. 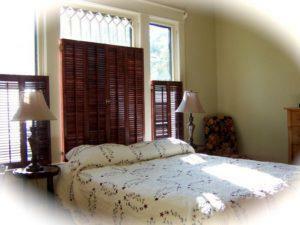 The cottage is available for short-term rentals - minimum 2 nights to monthly. Summers Cottage is in association with Zazzy'Z Coffeehouse (www.zazzyz.com), located 150 yards away, and can be stocked with items from their menu. Please visit our website to get further information and rates.